When I got off the plane this morning at the Masbate Airport, there was a strong sense of fulfillment. I could truly say that I have seen the Philippines. 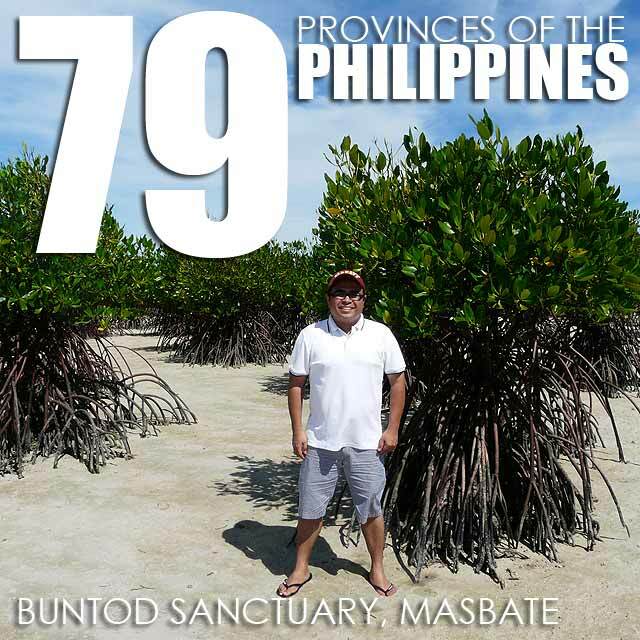 Masbate was the last province I had not visited. And with my arrival this morning, I am proud to say that I have visited all 79 provinces of the Philippines. The last few weeks was hectic. I wanted to achieve the goal before 2010 ended. 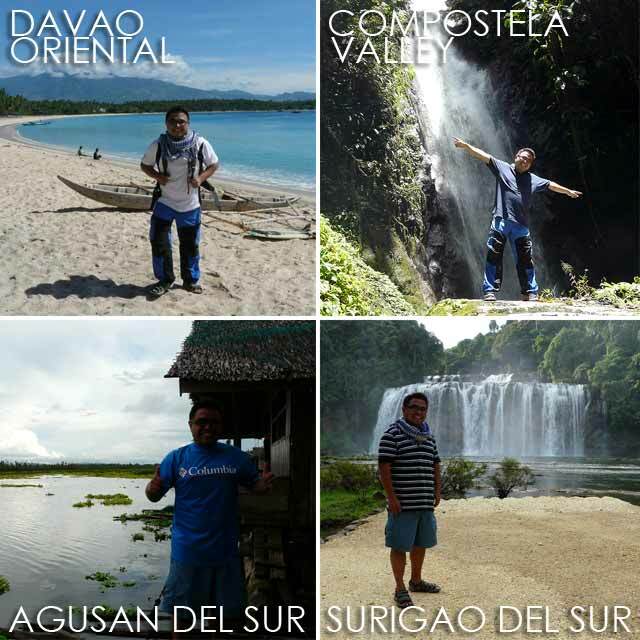 In October, I found myself breezing through the last four provinces of Mindanao which I had not visited yet - Davao Oriental, Compostela Valley, Agusan del Sur and Surigao del Sur. I endured several hours at a time on buses and boats given my limited time. And on my last day, I virtually traveled from morning until early morning the next day. I got to visit Dahican Beach, a popular surfing area in Mati, the waterfalls of Maragusan, stayed a night with the Manobo community of Sitio Panlabuhan in the Agusan Marsh, and marveled at the spectacular Tinuy-an Falls in Bislig. Just yesterday, I had arrived from a 1800-kilometer drive around North Philippines to visit Abra, Apayao, Kalinga and Quirino. The views during the drive were so refreshing. It made me even prouder of our country. Highlights of the trip included visits to the Tayum Church, a National Cultural Treasure, the ruins of the Pudtol Church, the Chico River and Dam in Tabuk, and a peek inside the Aglipay Caves. And just as soon as I arrived home, I found myself packing my bags again for Masbate. The Buntod Reef Marine Sanctuary is a must-visit when in Masbate City. It has an islet or sandbar with various species of mangrove trees. During high tide, you might be lucky to spot a pawikan amongst the trees since there are a lot of them there. I still can't sleep since the high from having visited all the provinces of the Philippines is one-of-a-kind! The Philippines is such a beautiful place. Update: Dinagat Islands was reinstated as a province in March 2011. With my visit to Dinagat Islands late last year, I've visited all 80 provinces of the Philippines. Congratulations, Ivan! That is an awesome and enviable feat! Before going out of the country it would really be great to go around Pinas first like you did. I wish I could. I wish I have time. I'm already 47! haha...So, what next? Congratulations Ivan! this amazing endeavor should be an endeavor of all Filipinos. We have a beautiful country to share to the rest of the world. Thank you for the inspiration. Congrats! Sir, what's the last province na hindi nyo pa napupuntahan? Congrats Sir! among the places you've mentioned, Dahican Beach pa lang ang napuntahan ko.hehehe. I wish I could also visit all the Philippines' provinces someday. I've been to nine so far. Sa Totoo Lang, Madaming Tao Na Gustong Gawin Yang Ginawa Mo Pero For Sure Kaya Hindi Yan Dahil Sa Kakapusan Sa Pera.. Ako, Gusto Kong Gawin Yan Kaso Kapos Ako Sa Budget.. 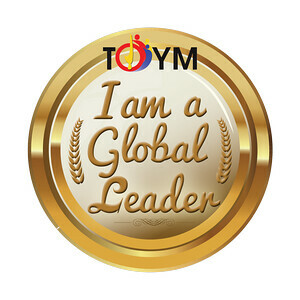 Anyway, Congrats Sir.. Sana Maranasan Ko Din Yang Ginawa Mo.. Astig Ka Sir Ivan.. =).. More Power To You.. =) Godbless..